According to a report on the development of Hainan’s tourist hotel industry in 2010, Sanya has become the city with most dense luxury hotels in China. By the end of 2009, there were 31 international brand hotels in Sanya, among which 19 hotels are under the management of international companies. From 2004 to 2009, the average hotel occupancy rate, room rates and pure profits of hotels in Sanya were above the average national levels in China. 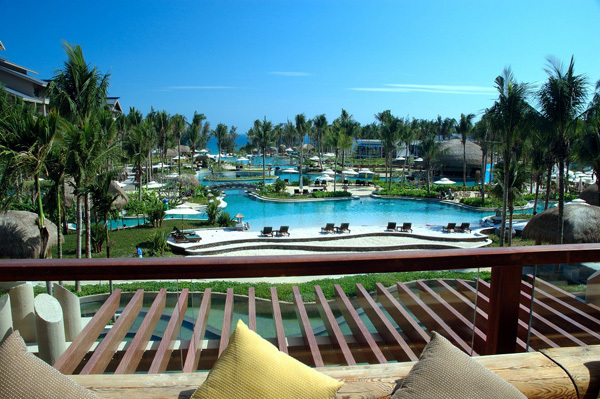 During the past three years, five-star hotels in Sanya have witnessed a regular boost during peak seasons each year. The report also said that tourists to Hainan were mainly from Russia, South Korea, Hong Kong, Taiwan and Macao. By 2015, there are 52 star-rated hotels expected to be developed in Sanya, among which 27 will be located in Haitang Bay.